Kinship care is the intervention of family members in the guardianship of a minor in the event that their parent or parents are not able to care for the child for the time being. In some states, kinship care can be close family friends who are accepted like relatives, though this is not as common. When a child is removed from a home by Child Protective Services, the first step a social worker typically takes is finding out if there are biological family members who would be able to provide a home for the children while their parent’s situation gets sorted. Social workers seek family members first to care for a child to help a child preserve some sense of normalcy in an otherwise chaotic time and also to attempt not to sever relationships with friends and family. This also allows for a child’s parents to have peace of mind that their child is being looked after by someone they know and trust. The rules of kinship care are a bit different than they would be a typical foster care situation. While it is often dependent on the state in question, family members do not typically have to have the same training as foster parents would, as placement needs to be relatively immediate in most situations. Social workers will typically do, at the minimum, a safety and suitability check of the family’s home to make sure that it is a good environment for the child. If the family is from out-of-state, the process may become a little more involved, requiring a home study, background checks, and Interstate Compact on the Placement of Children approval for transporting the child over state lines. Kinship care situations do not always see the same guidance or support system that foster care entails, though, in some states, they may be very similar. If the compensation foster care provides is not available for kinship situations, there may be state programs that help with finances for a child in kinship care. Kinship care, in most states, often does allow for children to be automatically qualified for state programs such as Medicaid and the Special Supplemental Nutrition Program for Women, Infants, and Children. For more information, it is important to consult a local child welfare agency for more information on the specific laws and processes in your state and locality. 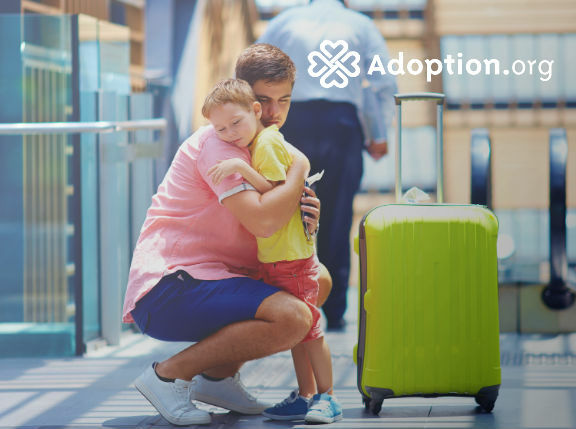 For more information on adoption and kinship care, visit Adoption.com.